The USPS® offers a service called Restricted Delivery, which guarantees that your mail is only delivered to the addressee. Restricted Delivery is designed specifically for sensitive mail such as confidential legal documents, important contracts, classified documents, and high-value packages or papers. When you use Restricted Delivery, the recipient of your mailpiece must positively ID himself before the USPS carrier will relinquish possession of the mailpiece. Restricted Delivery costs $5.20 per mailpiece and is only available when purchased in conjunction with Certified Mail, Collect-On-Delivery, USPS Insurance greater than $200, or Registered Mail. Restricted Delivery, can be used with most mail classes including First-Class Mail®, Priority Mail®, and Package Services such as Parcel Select Ground and Media Mail. How Does Restricted Delivery Work? To use Restricted Delivery, you must either tell the Post Office clerk that you’d like to purchase the service or clearly mark your mail “Restricted Delivery” at the time you hand it over to the clerk. This notification should be placed above the delivery address and to the right of the return address. 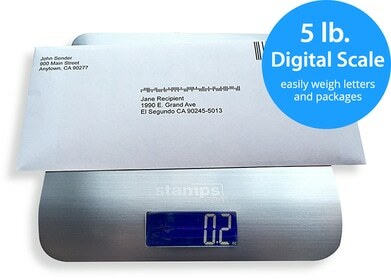 With Stamps.com, you and your staff will never have to stand in another post office line again! Not only does Stamps.com let you print official, USPS-approved postage from the comfort of your own home or office, it also gives you instant, 24/7 access to all the USPS services you need, including Restricted Delivery, Certified Mail, insurance and more.